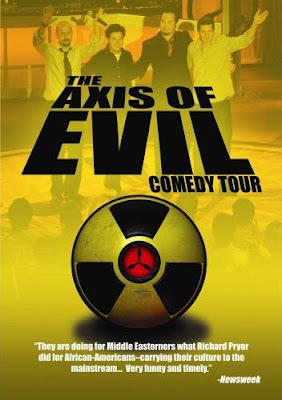 The nice folk at Cultural Media are putting on a filming of the popular Axis of Evil Comedy Show on Sunday 29 June 2008 at the family-friendly time of 4pm. The tour features a host of popular American comedians including Maz Jobrani. Entry is by donation of a gold coin. I'm not sure if e-tags will work. Book now because places are filling fast. You can find out more about the tour and watch the comix in action here. Many of us think that the current “war on terror” is unprecedented. We are told that special circumstances call for special measures, that we are now traversing a new threat and that new measures are required to meet this threat. But anyone familiar with the Northern Ireland conflict and the measures taken by the British government there over the decades leading to the recent settlement will know what nonsense such claims are. 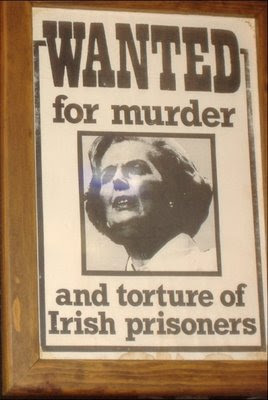 In 1971, the British government introduced internment. This measure was similar to preventative detention under current anti-terror laws. The goal of internment was to contain separatist sentiment. Its results were otherwise. The ranks of the IRA were packed with disaffected working class youths and adults with any nationalist sentiment. Internment was also accompanied with torture of select detainees. Five techniques were used, many of which were similar to allegedly new techniques used at Abu Ghraib and Guantanamo Bay. Such humiliation and torture were common practice within the British army and had been used for centuries with approval at the highest level. Very early in the Northern Ireland conflict, powers to stop and search, detain and arrest were extended throughout the UK. Thousands of innocent civilians went through humiliating experiences at airports and in the street. The few that were charged weren’t charged with terrorism offences but ordinary criminal offences. The result was the creation of suspect communities in the UK. Virtually anyone who was Irish or had some connection to Ireland became a suspect. Often police acted on mere suspicion on the basis of a person’s accent or appearance. Police-community relations are essential in fighting terrorism. Police rely on intelligence from the allegedly suspect communities. Arbitrary and draconian police powers alienate these very communities. You can hardly expect members of a community to provide police with information when they suspect that they or people they know could end up being the subject of arbitrary abuse of power or humiliation.